Yasemin Ece is an MA candidate in Postcolonial Studies at SOAS, University of London. Her current research analyses the links between colonialism and tourism movements, and the neocolonial relationships embedded within the tourism industry. Her other interests include global mobility rights, the “global mobility divide’ and the sale and purchase of mobility power through citizenship for investment schemes. 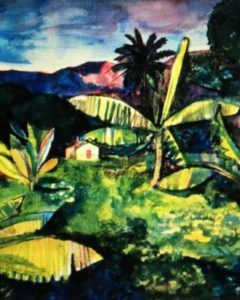 Jean Rhys’ Wide Sargasso Sea (1966) is a novel set in 1930s Jamaica, written by a West Indian author and published during an era that saw widespread decolonization. 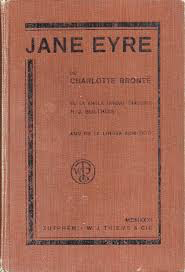 The novel is a postcolonial re-writing of, and a prequel to Charlotte Brontë’s Jane Eyre (1847). The book offers a restructuring of the canonic English literary text and gives an insight into the hidden cultural history of the West Indian “mad woman” in Rochester’s attic. Diana Brydon and Helen Tiffin termed this process “decolonising fictions” (Tiffin, 1993). Wide Sargasso Sea is an important piece of literature because it encourages us to think about local and transnational literary space. It is a demonstration of how the local or the colonial may not necessarily fit into the “narrative of metropolitan diffusion and colonial imitation”, and instead foregrounds the “co-constitution” of metropolitan and local stories (MULOSIGE: About). In reading Wide Sargasso Sea we are forced to address Charlotte Brontë’s writing out, and marginalisation of the West Indian “other” in a way that is very representative of the peripheral position that “third-world” women were given during that era. We are invited to acknowledge how European literature was co-constituted through this axis of imperial centre and colonial periphery (MULOSIGE: About). Academics must seek to instead think about appropriation and transculturation when considering the dynamics and developments of World Literature. The novel deals with themes of conflicted cultural identity, alienation, the instability of social identity, and racial ambivalence. These themes, which constitute a large part of the postcolonial narrative, are important for the discussion of world literature. They are important because World Literature opens up the possibility to remake the world and renegotiate the old binaries and axis that (European) World Literature both sat within and reproduced. Since decolonisation, and in the context of ever-growing globalisation, World Literature must move away from its Eurocentric origins. Academics must seek to instead think about appropriation and transculturation when considering the dynamics and developments of World Literature (MULOSIGE: About). In Wide Sargasso Sea the use of self-narration and nostalgia in Rhys’ work unburies hidden histories and pushes the reader to alter how they gauge past events. The book presents a view of the world from the perspective of the “other”, Antoinette. Antionette is Brontë’s Bertha, the “mad woman in the attic”. Renamed by her British husband Rochester, in an attempt to strip her of her threateningly ambiguous identity and remold her into something more familiar, easier to categorise, and therefore understand. In the renaming of Antoinette we see how Spivak put it, “so intimate a thing as personal and human identity might be determined by the politics of imperialism” (Spivak, 1985, p. 250). 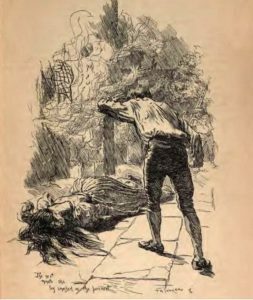 As opposed to being represented as nuanced, troubled, complicated and ambivalent, in Jane Eyre Bertha is rather one dimensionally cast as the West Indian obstacle to Jane Eyre’s marriage to Rochester (Brontë, 1847). Through its intertextuality Wide Sargasso Sea highlights the relationship between “first” and “third” world women and the experience of “marginal women”. Antoinette is given a voice, a voice, which disrupts Jane Charlotte Brontë Jane Eyre (1847) Eyre and destabilises the meaning of the colonial discourse surrounding the British Imperial project. Throughout the novel we see a breakdown of Rochester’s confidence in his English values as he starts to doubt the “moral and ethical claims he makes and the ways in which these claims are profoundly compromised by the abominable history of slavery in the West Indies” (Ciolkowski, 1997, p. 364). This can be seen as a representation of the instability of colonial discourse, what seems very confident language becomes ambivalent through the text’s subversion of the common sense “truths” that underpin colonial identities. Through Antoinette Rochester is forced to acknowledge the constructedness of colonial binary identities, and their lack of grounding in reality. In Antoinette’s blurring of the binaries Rochester starts to identify parts of himself within her, and himself as within a similarly hybridised position as her. He starts to get a sense that “social demarcations between English and Creole cultural identities are artificial because they ultimately depend on chance…the geographical accident of a given person’s or character’s place of birth” (Halloran, 2006, p. 87). Rochester’s need to control the danger that Antoinette’s ambivalence poses towards his identity as a coloniser, or towards colonial society as a whole, manifests itself physically in the novel through his forcing her into isolation in the attic. His character is almost a metaphor for colonial imperialism, his infidelity and his coldness towards Antoinette work as a symbol of England’s cruelty in its colonies. He is repeatedly trying to enforce boundaries, or borders, around himself and his understanding of himself as an “Englishman” throughout the text (Ciolkowski, 1997). This can be read as a representation of how England defined its borders as a nation state against its colonies, constructing the idea of its national identity in a binary axis against a clearly determined “other”. This binary is called into question, and undermined by Antoinette’s mixing together of English and Jamaican cultures and qualities. The novel forces us to question dominant assumptions about power, subjectivity and experience. The counter-narrative that is offered challenges the common sense structures of that time, which underpin colonial history. It disrupts European metaphysics, questioning the very assumptions of colonial boundaries such as “centre and periphery” or “self and other”. The novel even calls to question European concepts of time and history as linear. As the reader of Wide Sargasso Sea you must do a lot of work to understand the novel because the narrative is disconnected and slips between the past and the present, almost collapsing time so that they co-exist in a way that suggests the past cannot be moved beyond or left behind. This technique forces the reader to really feel the confusion and disconnect that Rhys’ character Antoinette was feeling throughout the novel as a result of the imposition of invented colonial binaries and ideas of nationhood. Presenting a fuller story of Charlotte Brontë’s “mad woman in the attic” that works alongside Brontë’s text in a way which foregrounds the “co-constitution” of metropolitan and local stories. Brontë, C. (1847). Jane Eyre. London: Smith, Elder & Co.
Bush, B. (1990). Slave Women in Caribbean Society 1650 – 1838. Bloomington: Indiana University Press. Ciolkowski, L. E. (1997). Navigating the Wide Sargasso Sea: Colonial History, English Ficition, and British Empire. Twentieth Century Literature , 339 – 359. Halloran, V. N. (2006). Race, Creole, and National Identities in Rhys’s Wide Sargasso Sea and Phillips’s Cambridge. Small Axe , 87 – 104. Martin Puchner, S. C. (Ed.). (1995). The Norton Anthology of World Literature (Expanded Edition ed.). London: W. W. Norton & Company Ltd.
Rhys, J. Wide Sargasso Sea. London: André Deutsch. Spivak, G. C. (1985). Three Women’s Texts and a Critique of Imperialism. Critical Inquiry , 243-261. Tiffin, D. B. (1993). Decolonising Fictions. Dangaroo.